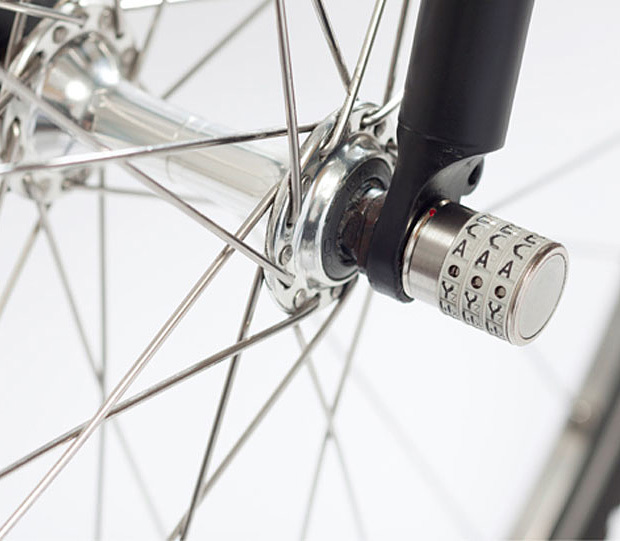 Sphyke Bike Wheel Lock | OhGizmo! By David Ponce on 11/12/13 • Leave a comment! It’s a sad reality of life that you have to take precautions to protect your belongings when cycling in an urban environment. Well… any environment, really. But while you can secure your two-wheeled vehicle with a good lock, the detachable wheels are sadly still somewhat vulnerable. That’s of course unless you protect them with Sphyke. It’s a simple combination lock that still allows you to remove the wheel when the need arises, but makes it quite a bit harder for a thief to run off with it. It’s $33. The company also makes locks for the seat and seat pole, as well as the stem. It’s a while system designed to keep your bike secure.